The HTC One is the best phone so far this year. 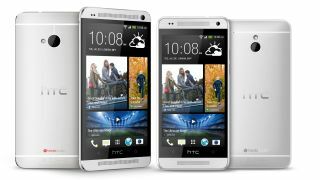 But all that awesome comes at a price, so it's good to see HTC following Samsung's lead and officially announcing the HTC One Mini overnight. Naturally, TechRadar has had its hands on the device already, although not everyone is impressed by HTC's miniaturisation. Let's just hope the phone can help turn around HTC's financial woes. Speaking of problems with money, Nokia's latest financial reports have come in and it's kind of good news: The Finns aren't losing anywhere near as much money as before. Lumia sales are up and things are looking pretty positive. And the Apple rumour mill continues to churn, with new reports into the fabled iWatch and iTV product lines. Apparently Apple is stockpiling fitness experts, so the iWatch will be your ultimate fitness gadget.Sounds fair enough, really. Slightly less believable are the tales that Apple is looking to buy a heap of Ultra HD panels from LG for the iTV. Given the size of the Ultra HD market at the moment - and the current pricing of 4K panels - this is very unconfirmed.